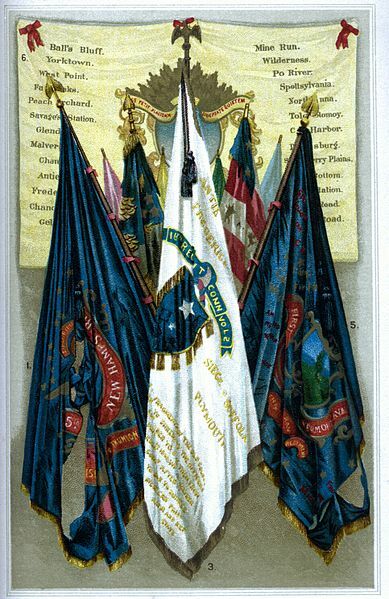 The Union battle flags of the American Civil War come in many different designs and with many different stories. From flags based closely on the "Stars and Stripes" design (like the flag of the 123rd Regiment of Pennsylvania Volunteer Infantry on the left) to flags representing the collective heritage of a given regiment (like the flags of the Irish Brigade). Each flag is interesting to look at, and each flag has an interesting story to go with it. 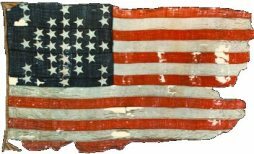 In the Union Army, each regiment carried a United States flag and their regimental colors (or battle flag). These flags identified the units to their commander, but they were also very important to the men who fought under them. Just as was the case in the Confederate Army, individual regiments were identified by their battle flags, and they held those flags more dear than just about anything else. Many of the Union Army's Medal of Honor recipients received their citations for flag related actions. At least one Medal of Honor recipient received his award within 90 days of taking a rebel flag, and his citation simply read, "Capture of flag." There was no mandated design for the Union battle flags. Some designs gained popularity and were widely used, but much like the Confederate battle flag, each Union battle flag was unique to its regiment. Some battle flags had battle honors written all over them, and other flag's battle honors were simply the holes and tears gained only from flying in the midst of desperate action. Whatever the case, each flag has a unique story. The 2nd Regiment of Kansas Volunteer Cavalry served west of the Mississippi throughout the Civil War. As you can see from the honors on their battle flag (right), the 2nd was well tested in battle. Most of the battles in which they took part were fought in Missouri and Kansas, but they did see action in the Indian Territory (Oklahoma) on a couple of different occasions during the war. This Flag is a great example of one of the most popular Union battle flag designs. The design incorporates the Federal eagle, from the Great Seal of the United States, on a dark blue flag. Above the eagle there was an arch of stars representing the 35 states in the Union (stars of the Confederate states were not excluded). Below the eagle was a banner bearing the name of the regiment. This particular flag measures six and a half feet by six feet. The Federal eagle design was very popular and was carried by many Union regiments throughout the American Civil War. 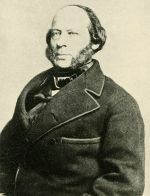 During the Camden Campaign, Union troops under General Frederick Steele attempted to cross Arkansas to join up with other Union forces in Shreveport, Louisiana. This expedition failed, but not due to any failure on the part of the 2nd Kansas Cavalry. They served well in a number of different engagements during this expedition, but my favorite occurred during General Steele's effort to reach Camden, Arkansas. To reach the city, he and his men had to cross a river, and this gave the Confederates time to attack his rear. During the first attack, the Union men were able to drive the Confederates back, but as more Confederates arrived, it was uncertain how the rest of the day might go. As the Union forces formed up to defend their rear, four squadrons of the 2nd Kansas were sent out in front of the Union lines as skirmishers. Rather than forming their skirmish line along the length of the Union front, the Kansans extended their line by more than a mile beyond the Unions right flank. When Confederate forces saw this skirmish line, they were convinced the Union defensive force was much bigger than it actually was. 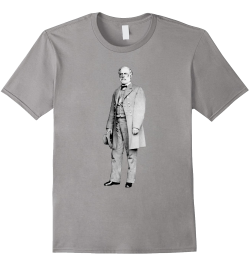 The Confederates disengaged and Steele and his men crossed the river to safety. The 28th Regiment of Massachusetts Volunteer Infantry served as the fourth regiment of the famed Irish Brigade. 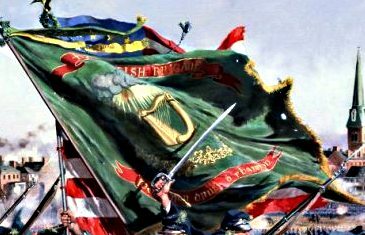 The 28th was the second primarily Irish regiment to be raised in Boston, and their battle flag (left) reflects their Irish heritage. Their Gaelic war cry Faugh a Ballagh "Clear the Way," also bore witness to their ancestry. The 28th Massachusetts served in almost every major Civil War battle in the eastern theater of the war. 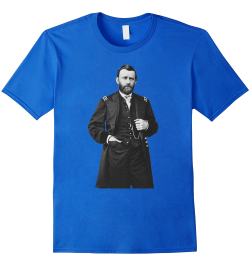 They were even present for Lee's surrender at Appomattox Court House at the end of the Civil War. "The storm of shell and grape and cannister was terrible, mowing whole gaps out of our ranks we having to march over their dead and wounded bodies. We advanced boldly despite it all…But the storm of shot was then most galling, and our ranks were soon thinned…we had but a poor chance at the enemy, who was sheltered in his rifle pits and entrenchments. I saw some hot work at South Mountain and Antietam in Maryland, but they were not to be compared to this." They had no chance, but when the Irish Brigade were ordered to retreat, many of the men from the 28th Massachusetts refused to fall back. 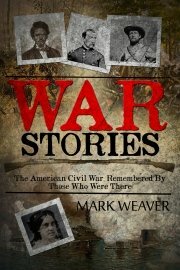 Instead, they took cover where they could and continued to exchange fire with the Confederates. That night, their Colonel was finally able to rally his men back in the town of Fredericksburg, but over one third of the men of the 28th did not make it back. A high price was paid by the 28th Massachusetts throughout the Civil War. 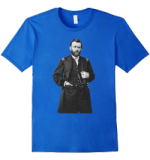 The 28th ranked seventh in total losses in the entire Union Army. Of the 1,746 men who served in this regiment during the course of the war, about a quarter of them died, were taken prisoner, or were reported missing. 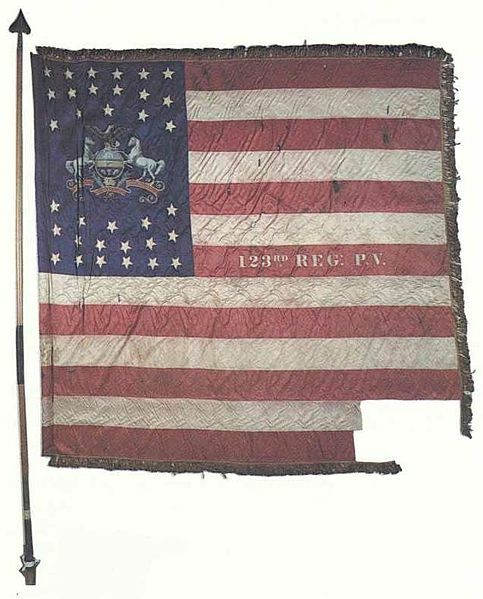 The fact that this regiment went through nine battle flags in the course of the war also points to the fact that the 28th Massachusetts did more than its fair share for the Union cause. The garrison then pulled out their storm flag (below), and hoisted it in place of the larger, torn flag. At one point, the flag pole was shot away, and this last flag fell into some smoldering embers, but the flag was quickly rescued and hoisted once more over the fort. 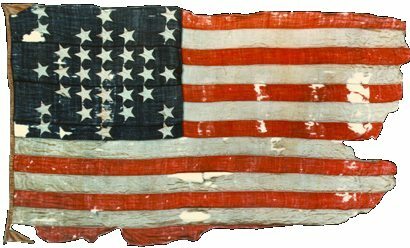 Finally, on April 14,1861, the garrison at Fort Sumter was forced to evacuate the fort, but since they did not surrender, they took their flag with them. 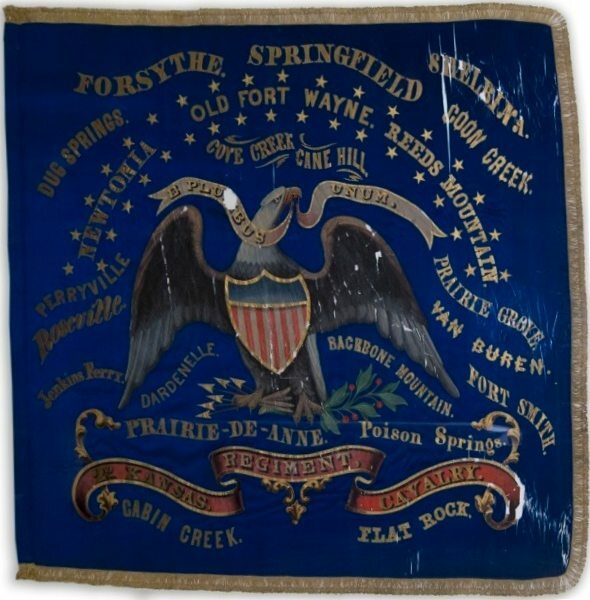 This Union battle flag toured the northern states throughout the war to rally war weary citizens and possible volunteers to support the Union cause. Often times the flag would be auctioned off to raise money for the war effort, with the understanding that it would be re-donated so that it could be ready for the next rally. "On this solemn and joyful day, we again lift to the breeze our fathers’ flag, now, again, the banner of the United States, with the fervent prayer that God will crown it with honour, protect it from treason, and send it down to our children with all the blessings of civilization, liberty, and religion. Terrible in battle, may it be beneficent in peace! Happily no bird or beast of prey has been inscribed upon it. The stars that redeem the night from darkness, and the beams of red light that beautify the morning, have been united upon its folds. 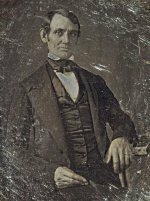 As long as the sun or the stars endure, may it wave over a nation neither enslaved nor enslaving…"
In a shocking turn of events, that evening would see the assassination of President Abraham Lincoln. This is just an introduction to Union battle flags which were used during the American Civil War. I hope I have given you a bit of a taste of the stories that can lurk behind these old flags. As you have seen in the pictures above, there were many different styles of Union battle flags. Some were based very much on the United States national flag, but there were other designs that bore no resemblance to the old "Stars and Stripes." In this drawing, we see six different Union battle flags. 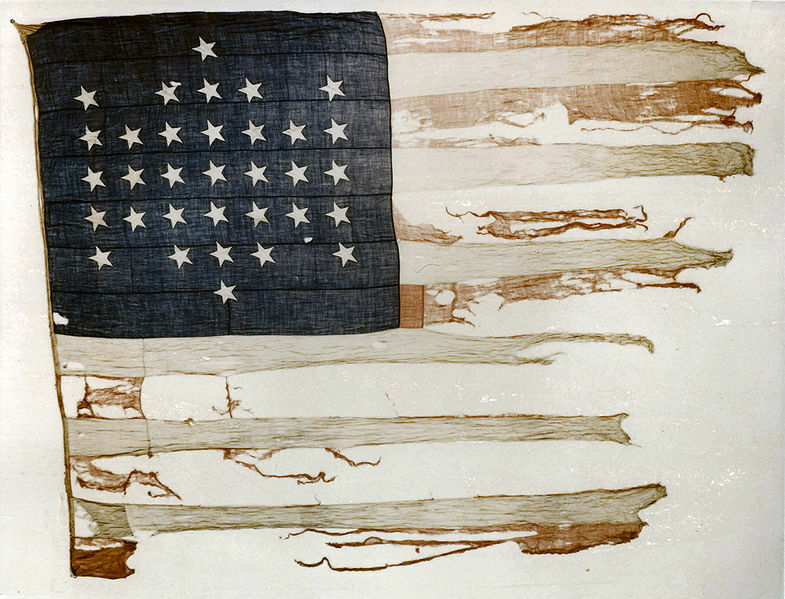 Here you can really see the variation in style and color as well as the damage these flags received in battle. One final story to illustrate the importance of the Union battle flag to the men who fought under it... At the Battle of Antietam, the 69th Regiment of New York Volunteer Infantry (another regiment in the famous Irish Brigade) made a charge against Confederate General John Brown Gordon's position in the Sunken Road (or Bloody Lane). According to tradition, at least eight different men were either wounded or killed carrying their regiment's flag during that charge. Like I said, this is just a tiny sample of a couple of stories behind these Union battle flags. If you know a story you want told, feel free to contact me and tell me about it.